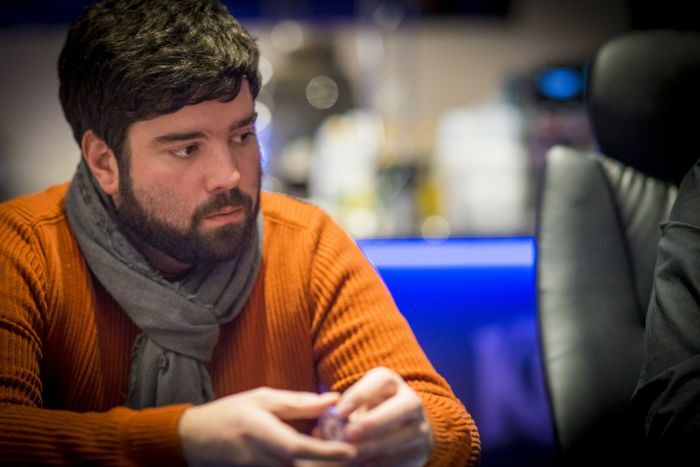 Read up on some of the top poker talent to come out of Portugal. The Iberian country of Portugal shares borders with the Atlantic Ocean and also Spain, with whom they also share many passions, including futbol and poker. A country of more than 10.3 million inhabitants, Portugal recently joined Spain and France in a shared liquidity online poker market, boosting the player pool and prize pools available — a great sign for players residing in Portugal or up-and-comers in the poker scene. Even with their relatively small online poker market, Portuguese residents have had access to plenty of big live tournament stops in recent decades, just a quick trip away in Spain and other nearby European countries. Portugal's contingency has made plenty of waves in the poker world over the years, and just this past summer, the first Las Vegas WSOP gold bracelet was claimed for the country. 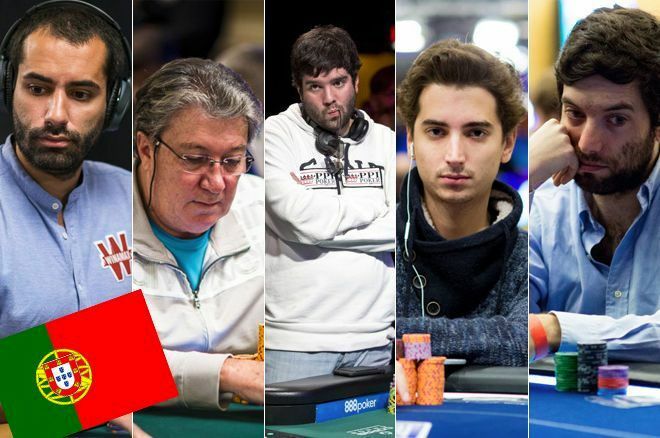 With plenty of players worthy of mention, here we highlight five of the best poker players with Portuguese roots, and one retired player that we feel is deserving of an honorable mention. The No. 2 ranked player on Portugal's all-time money list is a former professional basketball player and current Team Winamax pro who has been putting up consistent results in the live arena since 2013. With no sign of slowing down, Joao Vieira's biggest score of $251,052 came just this past May for a fifth-place finish in a €25,000 EPT Monte Carlo High Roller that earned him €208,700 ($251,052). His two other six-figure scores both came in 2014. He took eighth in a $25,500 PCA High Roller for $157,940 in January, and in December, he finished seventh in a €10,300 EPT Prague High Roller for €103,870 ($129,398). While he may have just three six-figure scores, Vieira amazingly has 32 five-figure paydays to his credit — and that’s just in the live poker realm. Though he has his online poker earnings hidden, just last month Vieira reported cracking the top three in all-time online poker earnings, inching ever closer to Chris Moorman who occupies the no. 1 spot with nearly $15.5 million in earnings according to PocketFives. Another Joao that is very good at the poker is Joao Barbosa. His more than $1.8 million in lifetime tournament earnings place him third on his country’s all-time money list. Barbosa’s first ever Hendon Mob cash came for a May 2008 win in the €1,500 Unibet Open Madrid Main Event for a six-figure score of €115,800 ($179,240) – not a bad start to a live tournament poker career. He followed that up in November with an even bigger score at EPT Warsaw, where Barbosa won the €5,400 Main Event for €367,140 ($460,566) – still his largest score to date. Since those big wins, Barbosa has added many more cashes, including another six-figure win and three five-figure wins. He won a €2,150 side event at EPT San Remo for €275,000 ($373,626) in April 2010, and in January 2011 won a €5,250 High Roller Turbo at EPT Deauville for €38,400 ($52,264). His next big win came more than two years later in September 2013 in a €5,300 EPT Barcelona 6-Handed Turbo for which he banked €70,900 ($94,842). In August 2014, he returned to EPT Barcelona and won €2,150 Turbo 8-Max for €38,900 ($51,598). 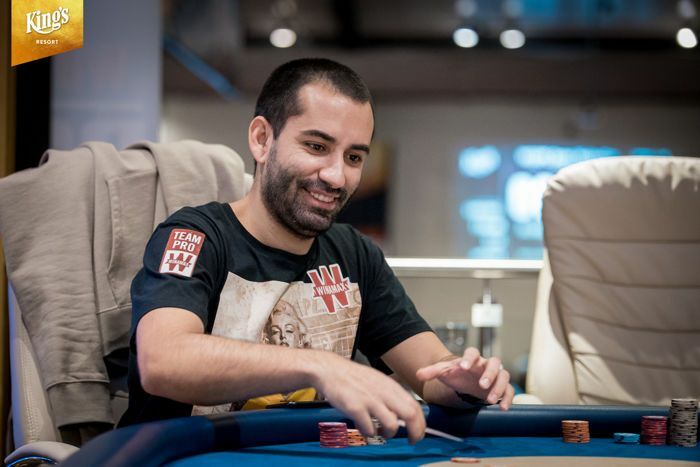 Barbosa’s stream of cashes was consistent through September 2015, and a three-year gap follows until his next live cashes, which came during the recent EPT Barcelona in August 2018. Time will tell if Barbosa is back, or just back for a visit. Now armed with a $30,000 Platinum Pass for the PokerStars Players Championship which he won in the Crazy Pineapple Day 2 Flipout at EPT Barcelona, Barbosa will at minimum be showing up in The Bahamas in January. 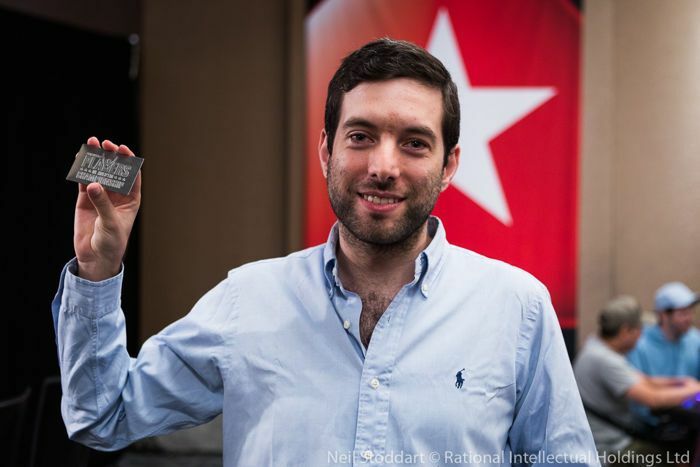 Joao Barbosa won a Platinum Pass at the 2018 EPT Barcelona. Another Portuguese online crusher who has had plenty of success live is Pedro Oliveira. 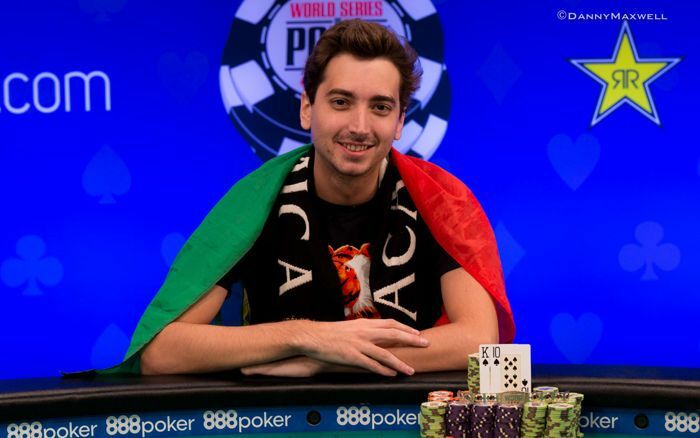 Hailing from Coimbra, Oliveira has racked up over $1.6 million in online cashes lifetime under the moniker “skyboy”, along with $1,015,777 in live earnings. Oliveira has put himself on the map live with a couple recent deep WSOP runs, most notably an 11th-place finish in the 2017 WSOP Main Event for his largest cash of $675,000. His other six-figure score earned him $115,957 for a fifth-place finish in a 2016 $5,000 Turbo WSOP event. With live cashes dating back to 2010, the bulk of his live scores came in 2016 and 2017, and he has not had a live cash in just over one year. Whether or not Oliveira will return to the live circuit is to be determined. Diogo Veiga has had a breakout 2018 with two scores over $500K, including a summer WSOP bracelet win in a $3,000 No-Limit Hold’em event that earned him $522,715. That followed just over two months after he finished sixth in the €10,300 partypoker MILLIONS Grand Final Barcelona for €450,000 ($555,144). Before 2018, Veiga had not had a year with more than $70,000 in live tournament winnings. With over $1 million and counting for the present year, it’s likely that the first Portuguese player to capture gold in Las Vegas will continue to make waves on the live circuit. Online, Veiga has collected over $200,000 in cashes under the moniker “phounderAA”. Diogo Veiga after his 2018 WSOP win. With cashes dating back to 2009, Fernando Brito has collected the most live cashes of any player from Portugal with nearly $2 million, making him a mandatory mention in a top-five from Portugal list. 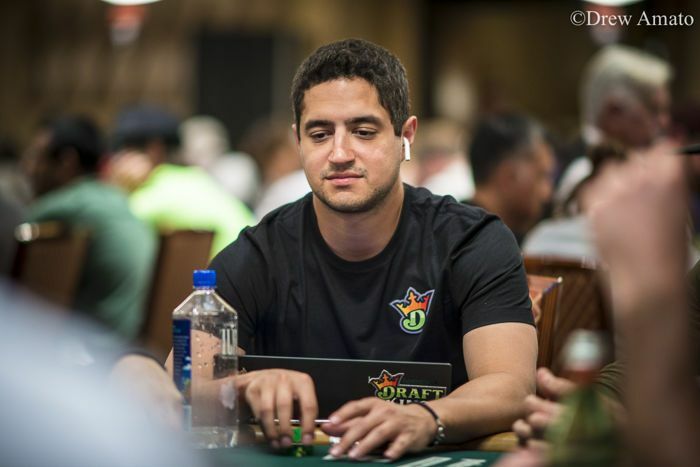 Brito has had perhaps the most consistent results of any Portuguese player at the WSOP in Las Vegas where he has cashed in 41 events for $783,297 since 2010. 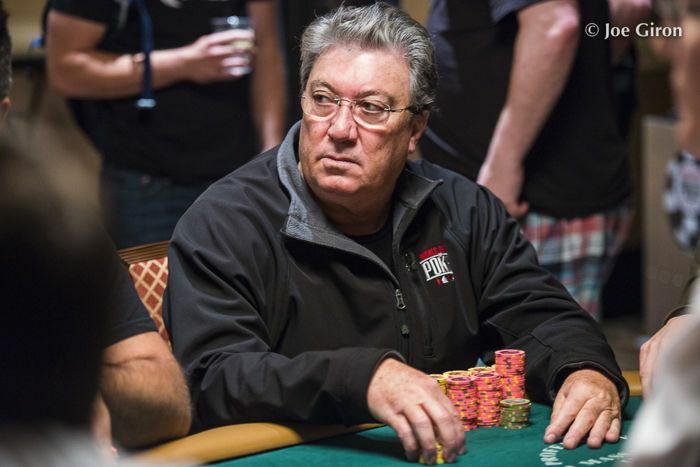 Just this past summer, Brito cashed eight times in the WSOP, most notably finishing runner-up in the $1,500 Mixed No-Limit Hold’em/Pot-Limit Omaha 8-Handed for a six-figure score of $122,032. While no longer in poker, still fourth on Portugal’s all-time money list is Jon Aguiar, who racked up $1,640,103 in live cashes over his decade-long poker career before moving on to working in daily fantasy sports (DFS) full-time in 2013. He also has around $964,000 in online winnings according to PocketFives. Aguiar was the first to claim WSOP gold for Portugual when he won a 2012 WSOPE Cannes €10,450 No-Limit Hold’em Mixed Max Event for €258,047 ($336,661). Though he has minimized that accomplishment as the event only had 96 runners, Aguiar’s well-rounded poker accomplishments speak for themselves and he still has ties to his former career through the ever-growing DFS world that intersects heavily with poker. Despite veering away from playing and having no poker cashes since 2015, Aguiar still merits mention on a list of Portugal's finest.